Hey everyone here are your pictures for U.S Cellar see you all next week with the Chicago Cubs. 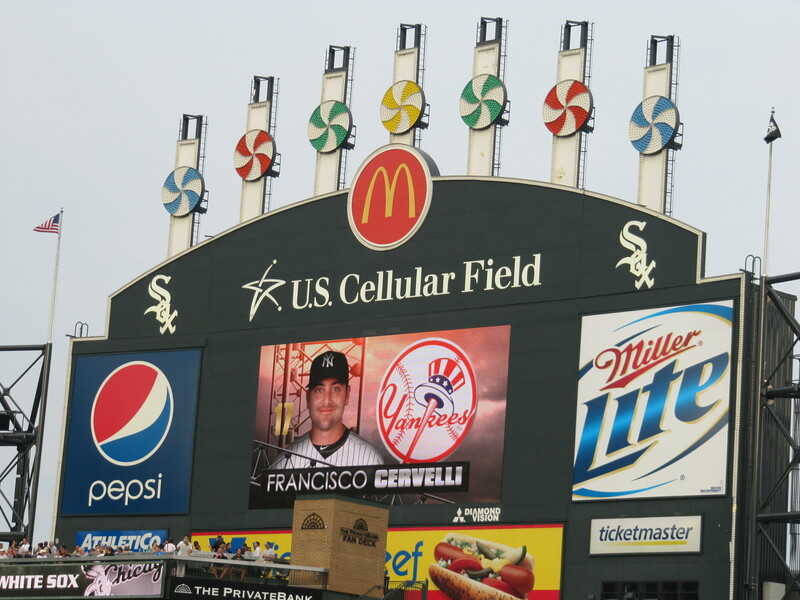 Here is a picture of the score board and hitting is Francisco Cervelli. 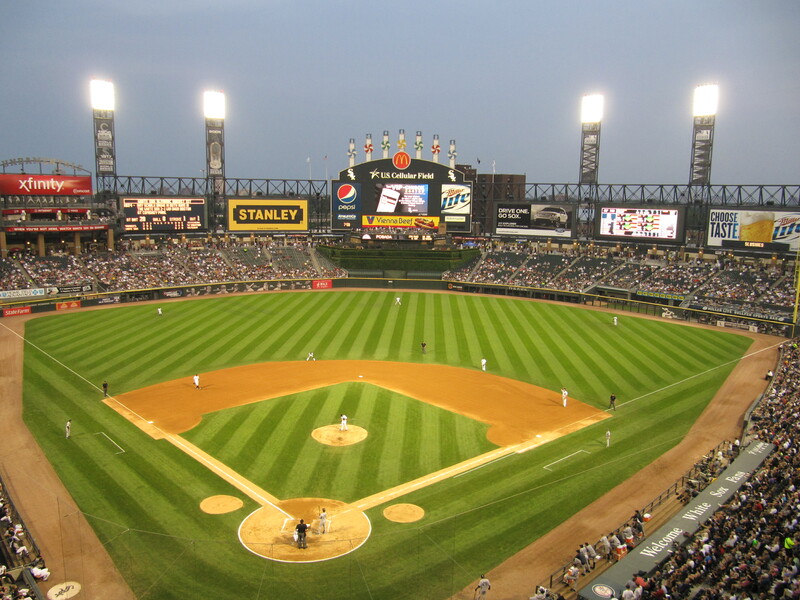 As I was talking about in my ball park review segment this is Southpaw. 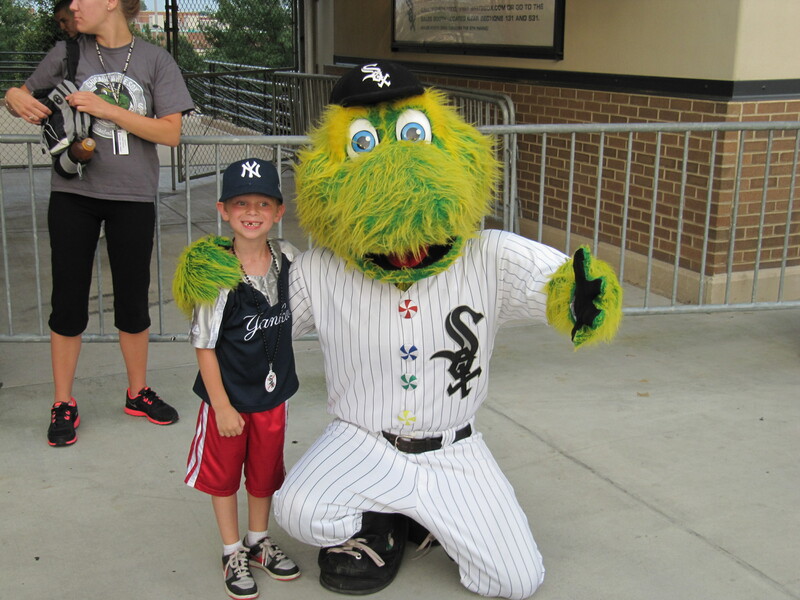 Southpaw is the White Sox lefty mascot. 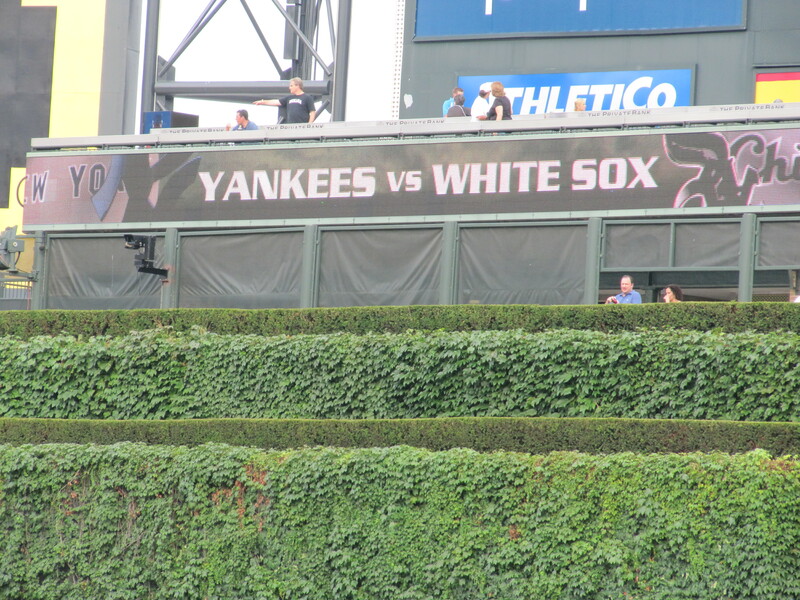 In U.S Cellar field there is always a sign in the outfield saying the White Sox and who they are playing. 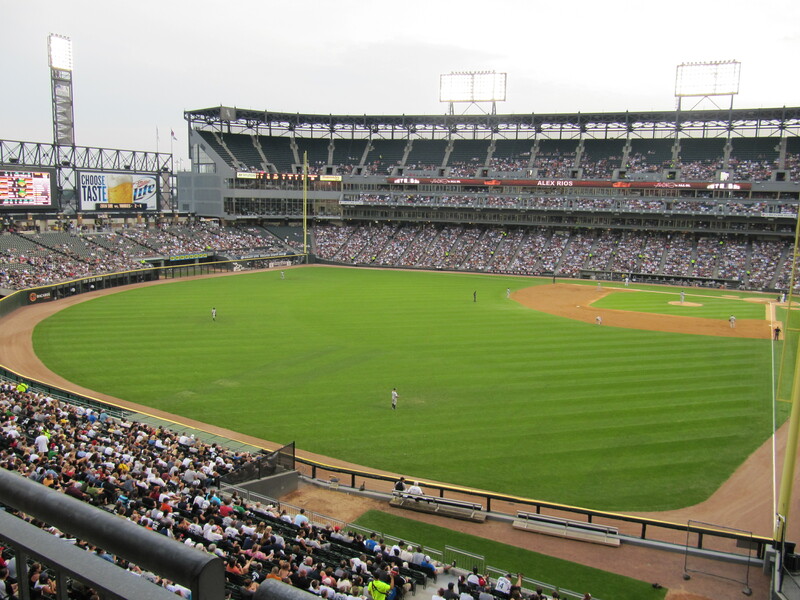 This is a picture of the field from the left side. This is a birds eye view of U.S Cellar field. In Chicago there is a few blue seats to show special hits. This is Ethan and I in front of Paul Konerko’s blue seat. 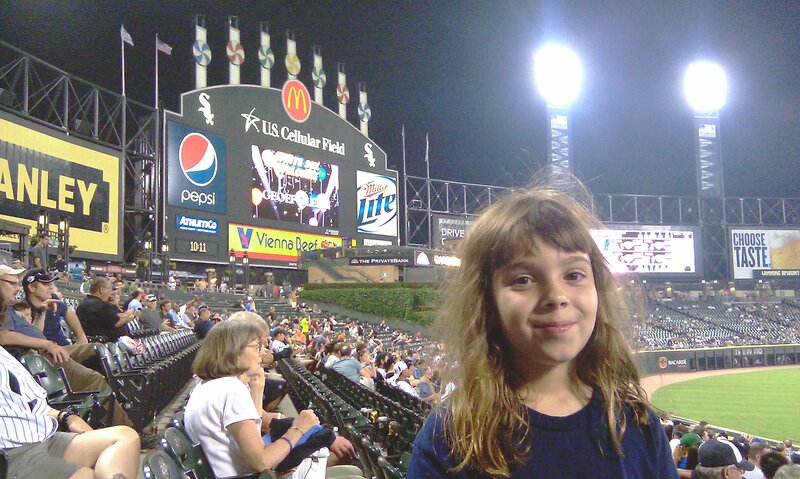 This is a picture of me in front of the score board. 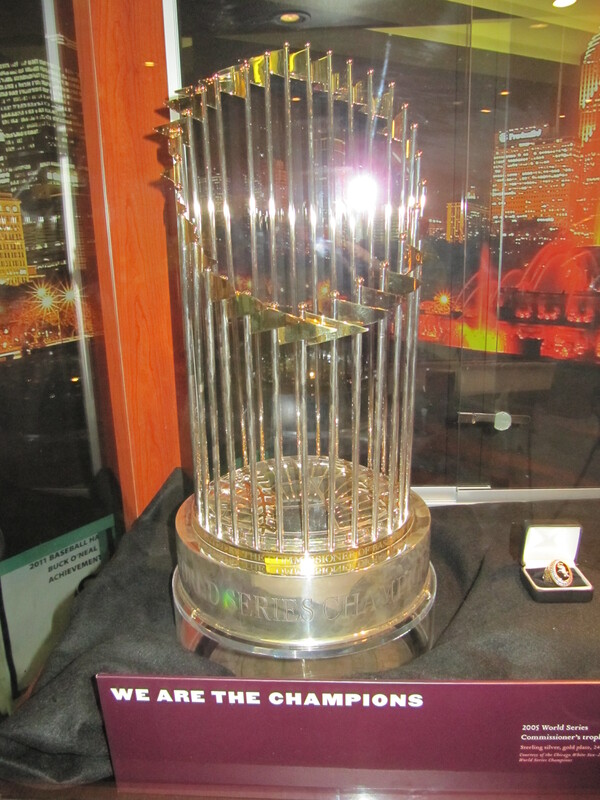 The last picture is of the World Series trophy from 2005!